We looking forward to welcoming everyone back to school on Monday, March 23 @ 8:30 a.m. Be sure to get to bed early, sleep well and be ready to engage in meaningful Term 3 learning on Monday! 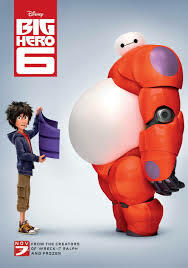 Big Hero Six is showing this Friday night in the GV gym @ 6:00 p.m.
Get the latest news from the GV Learning Commons here. Rethnk Waste Begins Soon at GV! Surrey Schools will soon be rolling out a program to recycle more, sending less of our waste to the landfill. 1. Organics (GREEN) – all food scraps and soiled papers accepted. No cups, packaging or plastics. 3. Paper & Cardboard (YELLOW) – unsoiled paper and cardboard. 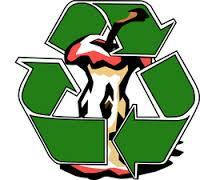 All other materials are considered Garbage (BLACK) and will be disposed of in district garbage containers. Expect to soon learn more! Mar. 27 - PAC Movie Night, 6:00 - 8:30 p.m.
Mar. 31 - March Monthly Assembly, 9:00 .m. April 1 - PAC mtg. 8:45 a.m.
April 24 - Intermediate Speech Festival - 9:00 a.m.